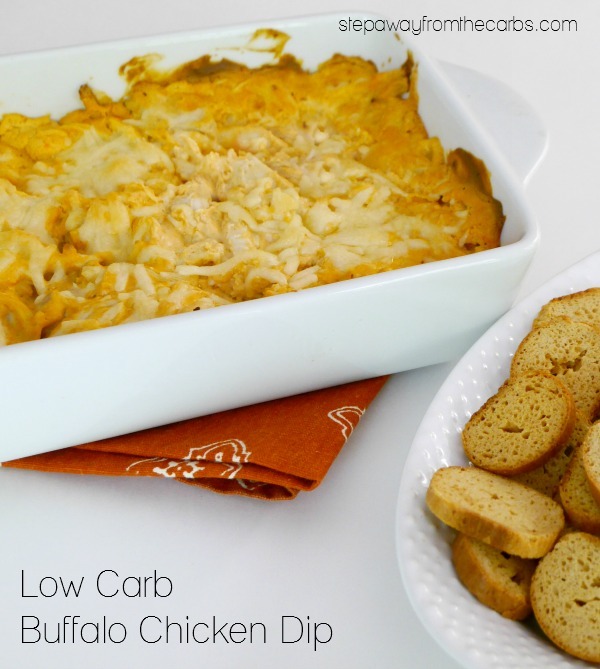 Serve this low carb buffalo chicken dip with some delicious low carb chips! 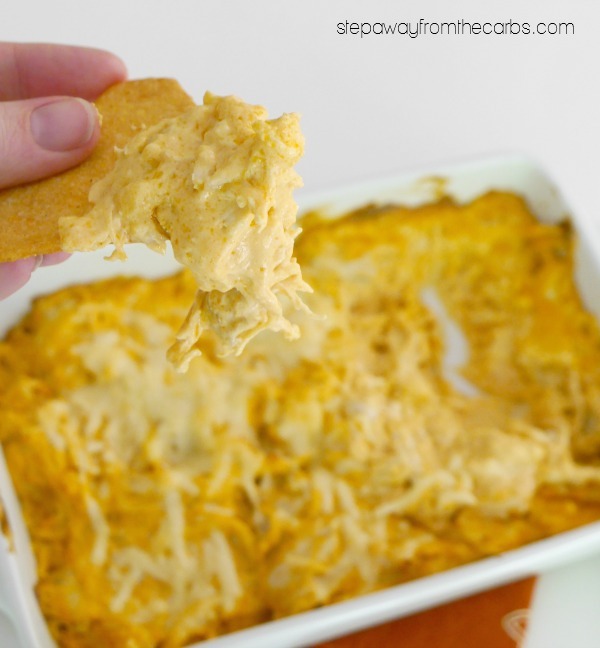 If you love Buffalo Chicken Wings then you’ll love this dip! 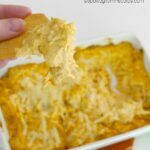 So much flavor going on and it’s perfect for serving at parties, sports events, or family gatherings! Check out my recipe video or scroll down to see the full recipe details! Prepare the shredded chicken in advance. Place two fresh skinless chicken breasts into a saucepan of water, making sure the chicken is covered, and boil for 10-15 minutes until cooked through. Transfer to a plate or board, let cool, then use two forks to shred the meat. 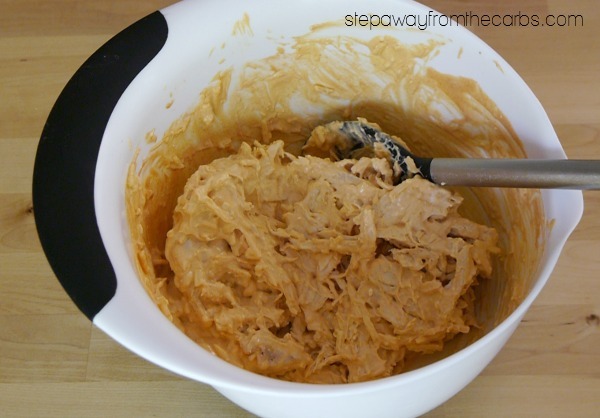 In a large bowl, mix together softened cream cheese, sour cream, onion powder, Worcestershire sauce, shredded cheese, and of course hot sauce. Everyone has their own favorite hot sauce – but you can’t go wrong with Frank’s Red Hot! Stir in the shredded chicken. Transfer the mixture to a baking dish, and sprinkle a little extra cheese over the top. Bake in a preheated oven for around 20 minutes, or until everything is hot and bubbly. To serve the dip, you could try celery sticks or cucumber. 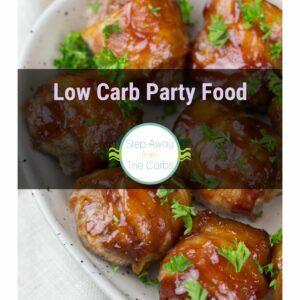 However, I’ve been trying out some low carb chip options from Netrition recently and they’re really good! The first one I tried were these Corn Chips – the actual serving size is shown below. 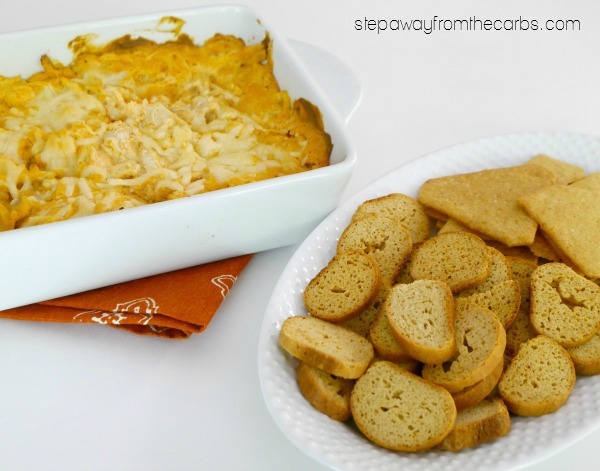 They have a nice neutral taste which worked well with the buffalo chicken dip! 5g net carbs for 1 oz (about 10 chips), but they do contain milk, soy, and wheat. 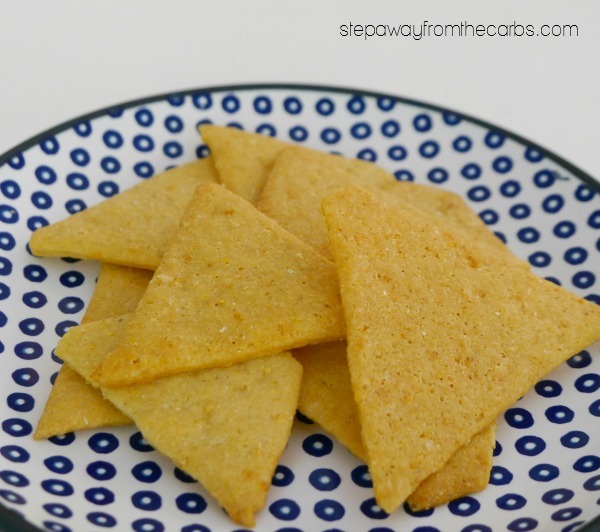 (You could also try the Pita Chips which have a similar flavor and crunch). Next up were these Baked Bagel Chips – perhaps my favorite! Super crunchy, nice flavor, and really moreish. Again, I opted for the Plain version, but an Everything version is also available! 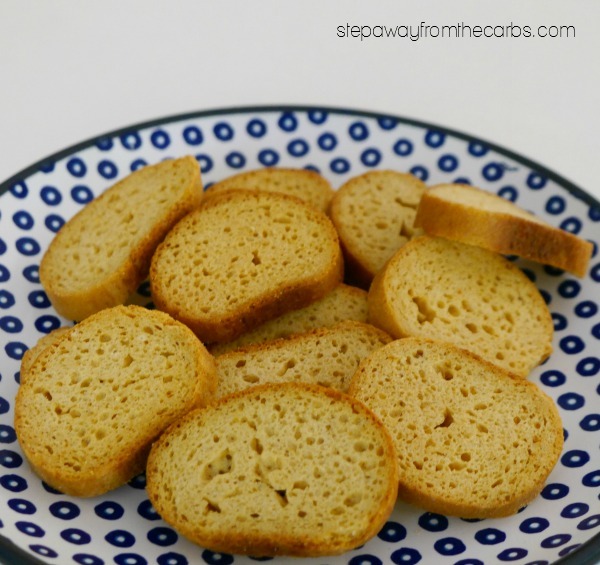 2g net carbs for 13 bagel chips – which is an awesome serving size! These also contain milk, soy, and wheat. 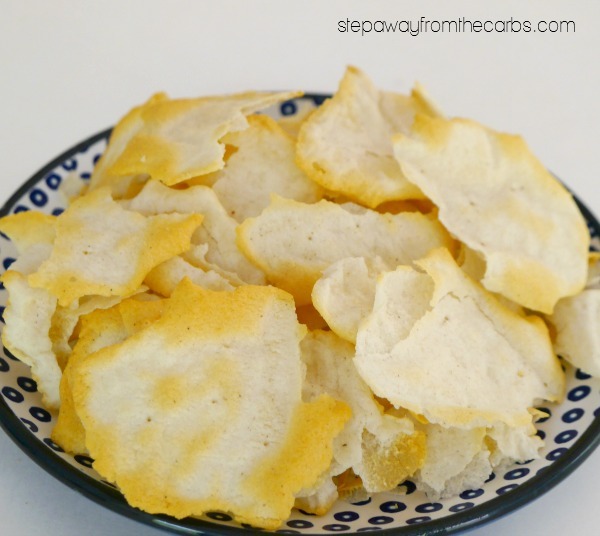 And finally, these Protein Chips – yes this is one serving! The chips are very crispy and almost fragile! I tried them in the Sea Salt flavor but they also offer BBQ, Salt & Vinegar, or Cheddar & Sour Cream. 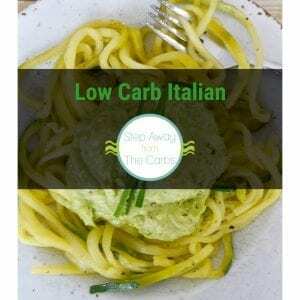 2g net carbs for the whole bag – soy free and gluten free! After my extensive testing I decided that I would serve the dip with the corn chips and bagel chips. Place the chicken into a saucepan of water, making sure the chicken is covered, and boil for 10-15 minutes until cooked through. Transfer to a plate or board, let cool, then use two forks to shred the meat. 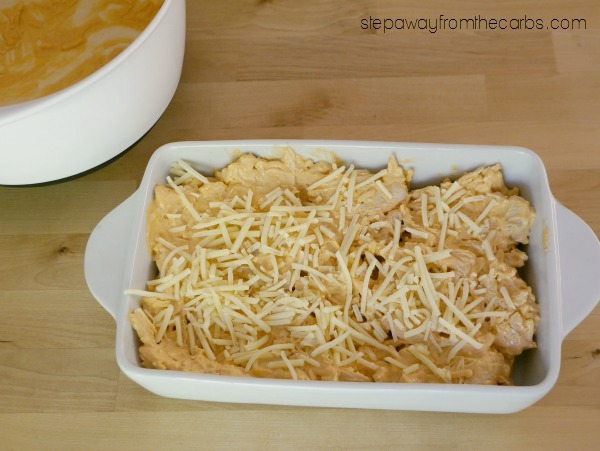 In a large bowl, mix together the remaining dip ingredients, using only 1 cup of the cheese. Transfer the mixture to a baking dish, and sprinkle the extra ¼ cup cheese over the top. Bake for 20 minutes, or until everything is hot and bubbly. 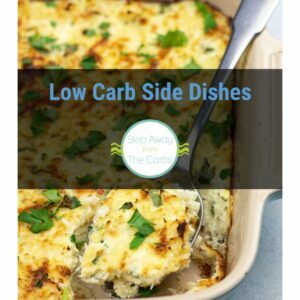 Serve warm, with low carb chips. 3.5g net carbs per serving. 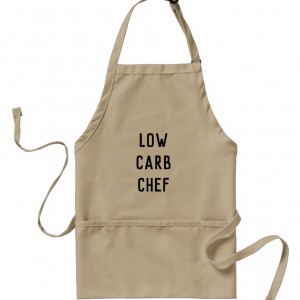 Remember to check out Netrition for all your low carb needs!